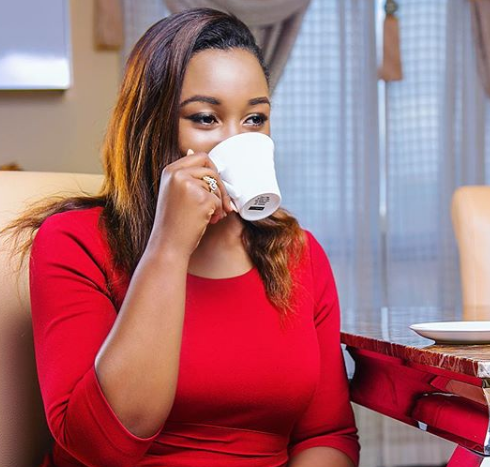 KTN news anchor Betty Kyalo recently sent out a rather suggestive post but Kenyans in the end just had to bring back history and ruin the moment. Donning a red dress top, sensually sipping tea while giving fans a snippet of the insides of her thick caramel thighs in an Instagram photo captioned: I ain’t a doctor but I can make you feel better. , Kyalo’s photo was meant to be just another light suggestive poke. Her fans however, ended up remembering her exes who enjoyed what she was advertising. “Please describe any medication to DennisOkari,” Phillip Denno tweeted. Trevor Kasyoka replied, “Where is your Husband???????????????”. “Please do, but don’t forget I too come from county 001,” another user, Stephen Morang’a said. nimmoh_macharia You are a true definition of beauty and brains. You’re also an inspiration that one shouldn’t let a situation in life define who they’ll be. Instead focus,work smart &hard but above all with prayer nothing is impossible. Keep the fire blazing.